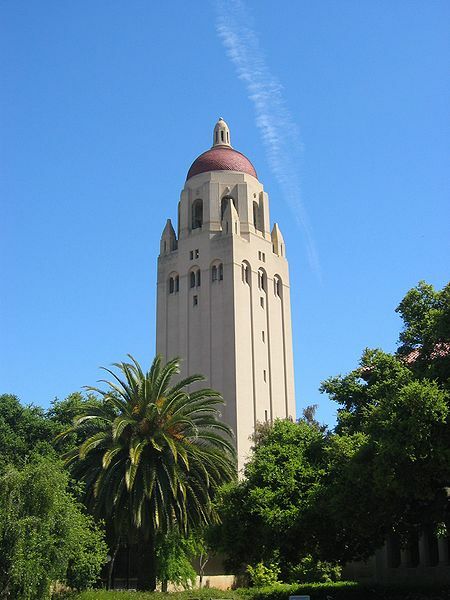 Eleven “education experts” at the Hoover Institution have recently offered up their review of the Best and Worst in American Education, 2010, and totally missed the mark in eight of their ten conclusions. Regarding a math teaching study, and a voucher system in Washington D.C., I don’t have an opinion. On every other count I disagree strongly, and will highlight the worst of their review, leading to the conclusion that this type of thinking and analysis represents the worst kind of ivory tower isolation from the functions and realities of schools, teachers, and students. Comment: We’re all still looking for that supply of high-performing charter schools: most charters are not out-performing traditional public schools. The real crises for “inner-city kids” run much deeper – high unemployment, poverty, insufficient health care, lack of affordable housing, inadequate nutrition… It’s shameful on the part of both Guggenheim and the Hoover experts to look into the complexities that constitute an “educational plight” as if they could isolate learning from everything else in a child’s life, and then suggest such a simplistic solution that isn’t even supported by the bulk of the research. But hey, oooohs and aaaahs for that audience! With a publicity budget that includes $2 million dollars from The Gates Foundation, plus the fawning treatment from Oprah Winfrey and NBC, the end results in audience size and box office returns could be viewed as a disappointment. Hoover: [On this topic, I’m taking the liberty of editing their text for them, inserting more accurate terms as a service to readers] California’s premier newspaper [The Los Angeles Times] made a serious study of the [test score growth] contributions of some 6,000 Los Angeles elementary teachers to student learning test scores and reported how each was doing—including a list of the 100 most effective [test score raising] instructors in grades 3 through 5. This carries some hazards, for test score changes may be misinterpreted, yet it injected value-added measures of teacher [test score raising] effectiveness into public awareness in a vivid way and made clear the sea change in how the United States views teaching [as an exercise in test preparation]. We now understand that effective [test score raising] teachers are those who boost student learning test scores, that teacher [test score raising] effectiveness can be measured [with test scores], albeit imperfectly, and that too many conventional teacher evaluation systems conceal low performance and fail to recognize excellence. Comment: On the very last point, I do agree with the authors. We do need improved evaluation systems that more accurately address student learning and teacher effectiveness. Our experts at Hoover are going in the wrong direction in pursuit of that goal. Over here, guys! Check out the ACT teacher evaluation report for some teacher solutions – research-backed and field-proven. Whenever they say “learning”or “performance” you have to keep in mind that they really mean “test scores.” Maybe someday that will change, but for now, the reliance on standardized tests is a failure. And of course, most learning is not tested, and most teachers are not working in tested grade levels or subjects. The Los Angeles Times’ decisions were flawed all around – to conduct the study in the manner they did, to infer as much as they did from the data, and to publish the teachers’ names. The Times’ lame excuse was that the information was out there and they were just reporting it. Some other information out there is that this shoddy work by the L.A. Times was a significant contributing factor in a teacher’s suicide, according to the teacher’s friends and family. I can’t say for sure if it was, but I’m following their lead on how to handle uncertainty – just report information, and let the readers decide. Hoover: The [Race to the Top] competition for these federal dollars triggered good policy changes in a number of states, including the capacity to link student achievement to teacher performance reviews and the loosening of caps on the number of charter schools in a state. Comment: Were those policy changes good? Linking student achievement test scores to teacher performance will have predictable and negative effects on curriculum and testing practices. Loosening charter caps will not automatically improve the capacity of charter operators who have already expressed doubts about the possibility of taking their operations to a larger scale. However, given the problems with oversight in charters that often have unelected boards, closed meetings, and in some cases, a profit-making agenda, it does not seem like a “good” policy to green light a change that will encourage the rapid expansion and proliferation of such organizations. The existing ones aren’t, on the balance, proven to deliver as promised. The Hoover folks also criticized Race to the Top, primarily due to arguments about which states should have won or lost. Not having reviewed states’ applications, I’ll withhold comment on that, although the Hoover disdain for “union buy-in” as condition for success reveals something about their bias. True, I have a bias in favor of unions, but I’d back it up by saying that more promising structural reforms have been accomplished working with unions rather than against them. Check into Minnesota, Washington, Denver, Toledo, and Poway (CA), the recent QEIA program in California, or the NEA Priority Schools Campaign. Are there examples of education reforms that work when imposed on the people responsible for their implementation? Aren’t strong union states, as a group, proving more effective than states without collective bargaining? Hoover: About 80 percent of the administration’s $100 billion education stimulus money went to avert teacher layoffs and continue existing programs without regard to their effectiveness and with no hint of school improvement. The $10 billion EduJobs bill did more of the same. Such spending rewarded schools for inefficiency at an enormous cost in dollars and missed opportunities. Comment: Nicely done, Hoover! Did you see that? They argued that one of the worst things to happen in education in 2010 was that federal money was used to keep some teachers employed during a major recession! Even if you feel that way, even if you had other hopes for that money, it comes off as such a callous remark to publish it as one of the worst things to happen this year. The folks who write and think this way must occupy a theoretical world in which, somehow, in the midst of massive layoffs and turnover, we’ll decide which programs work or don’t work, distribute the funds selectively, and maintain quality instruction whatever may happen to the instructors. And while there may be some bloat in certain expenditures in the school system overall (consultants fees? ), to associate any excess with teachers’ jobs is another insult. Teachers typically spend hundreds of dollars out of pocket to make up for school shortfalls. Teachers are issued paper quotas sometimes as low as a few pages per student per year. In Oakland recently, dozens of teachers worked in unheated classrooms after a cost-cutting measure triggered malfunction in antiquated heating systems. Inadequate text and computer supplies, lack of librarians, missing school counsellors, custodians… but the Hoover fellows would no doubt prefer spending the money on data systems to help purge the teachers who don’t produce student learning test scores. Hoover: [Florida Governor Charlie Crist’s veto of the Florida tenure reform bill] was a big setback for those keen to solve the most irksome education problem of all; that is, the right of ineffectual teachers to cling to their jobs. His veto contributed decisively to the Florida GOP’s rejection of Governor Crist and his eventual loss in the U.S. Senate race. Comment: Where to start here… really, that’s “the most irksome education problem of all”? I guess it is when you’re sitting in a nice office writing about education rather than trying to provide it. In this poll of secondary school principals, nearly half said firing a teacher is “onerous but manageable” and another 22% said “Not really” or “Not at all” – leaving 31% who said it’s “Absolutely” more trouble than it’s worth. Now I would agree that even 31% is a large number to offer that answer, but I hardly think this poll supports “most irksome education problem of all.” And note the spin on due process rights. Is there a contract anywhere that mentions “the right of ineffectual teachers to cling to their jobs”? Of course not. What bothers the Hooverites is that teachers have job protections that ensure a label of “ineffectual” must be substantiated, and that often the school or district has not upheld its half of the contract in supporting and evaluating the teacher properly. Those provisions and their implementation will vary considerably around the country, but at Hoover, they have simple solutions to such complex problems: a majority of a teacher evaluation should be based on state test scores. Their solution is not supported at all by the educational research community, and they seem perturbed by the fact that an erstwhile conservative ally studied the issue and decided to risk his political future to stop their “reformy” aspirations. It’s time to question their claims to expertise: how can you call yourself an expert in the field of education and be so out of touch with educators? I have no doubt that they are experts in something related to education, but let’s see some truth in labeling here. Call them experts in research, economics, law, politics, systems management… How about “experts in promoting market-based educational reforms,” or “experts in advertising an education policy agenda”? How about “experts in ignoring research on teaching and learning in favor of research on impracticable personnel policies“? But not “education experts.” The conclusions of Hoover’s experts are so far out of whack with what most educators and schools experience that they need to be called out. Want to have your say? Leave a comment here, and note that Education Next turned the Hoover conclusions into a poll, so you can cast your vote as well.